Our mouths contain around 10,000 taste buds. Each of those taste buds has around 50 sensory receptor cells. That’s 500,000 taste receptors in your mouth, which are responsible for recognizing the sweet, sour, or savory flavors in the food you eat. In addition to these good flavors, the receptors can also perceive a bad tastes. A bad taste in your mouth can be caused by a variety of things, including health conditions like diabetes and poor dental health. 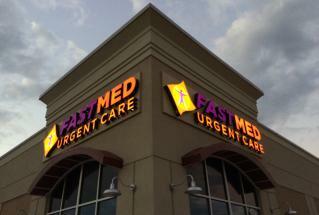 If you have a bad taste in your mouth that doesn’t go away after a few days, come to FastMed Urgent Care. Left with a Bad Taste in Your Mouth? Those aren’t all of the causes. You can check out more here. If the bad taste in your mouth is due to something like an upper respiratory tract infection or medication, don’t fret. It should dissipate within a few days after the infection is gone and the medicine is stopped. Treatment for a bad taste in your mouth can vary depending on the cause, but it may include artificial saliva or medications. If the bad taste in your mouth seems to be long-term, and you cannot pinpoint a cause, stop by FastMed to be seen by a physician. Our walk-in clinics are open 365 days a year, and you don’t need an appointment to be seen.